Rick started his 27-year career in maintenance on board the submarine USS Baltimore SSN-704 in 1991. He discovered an ability to repair equipment and had a knack for figuring out why things were broken. After his time in the Navy was over, he began a career in Industrial Maintenance where he grew his skill set even more. After being promoted to Maintenance Technologist and attending RMC Bootcamp at the University of Tennessee, Rick obtained his CMRP certification. He has since held positions as Planner, Scheduler, and Maintenance Supervisor. Rick has also been a CMMS Administrator and was the lead consultant on the development of that project. He earned his RMIC certification from UT based upon quantifiable improvements made at his facility due to the successful implementation of that system. 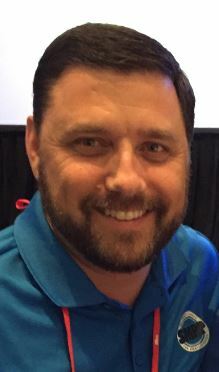 He has served or is currently serving on several committees within SMRP, including the SMRP Conference committee, the Best Practices Committee where he now serves as Chair, and the Maintenance and Reliability Knowledge Committee. He currently serves as the chapter Treasurer for the SMRP Middle Tennessee Chapter. Rick has been married for 24 years to his wife Chandra. In his spare time, he enjoys cooking, golfing with his daughter, and mountain biking.